We are ranked amongst the most trusted firms deeply engaged in offering a wide range of Refrigerated Air Dryer. 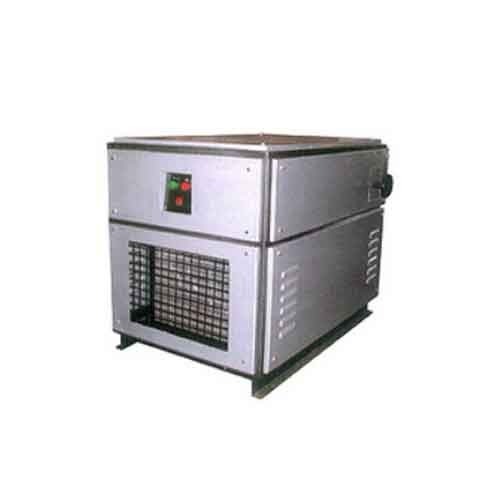 This air dryer is used for removing moisture by cooling air to certain temperature. Based on latest tool and techniques, this dryer is made by utilizing optimum grade of component and is widely appreciated due to its robust structure and perfect finish. Moreover, our clients can purchase this Refrigerated Air Dryer in different technical specifications at fair prices. We “Marshtech & Allied Services” are an eminent entity involved in manufacturing and trading an excellent range of Water Chiller, Filling Machine, Wrapping Machine, Glassware Machine, etc. Incorporated as a Sole Proprietorship firm in the year 2012 at Noida (Uttar Pradesh, India), we are involved in offering quality assured array of products. Under the leadership of “Mr. Santosh Tiwari” (Proprietor), we have achieved a prominent position in this industry. We also offering services BIS Certification Services, FSSAI Licensing Services, etc.